Yes, I know, I've been updating like a fiend lately. When I write, I turn the squiggly spell check and grammar lines off. First of all, because the grammar check never seems to be accurate. Second of all, spell check hates everything. Squiggly lines remind me too much of writing papers in college and it is distracting. I'm on page 241 of the revision as of now. Miles is getting himself into trouble at the moment. I'm not sure what it says about me that most of my male characters are horndogs in a small way. Anyway. So I decided, at nearly 300 pages, that I should run spellcheck on the WIP. Which I did. Come to find that a) my spelling is far more atrocious than it once was and b) I seem to be unconsciously using British spelling, which is wrong when your Word goes by the American English dictionary. 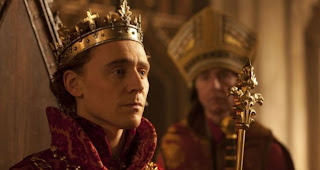 Okay, I know I promised this post yesterday, but I didn't get around to finishing Henry V until now. This story wasn't a complete stranger to me like the past three in The Hollow Crown series, so I had an easier time following the plot. And actually, I didn't have a problem understanding the language either--except for those times when there was very quickly spoken French and my rudimentary high school French couldn't keep up. i just noticed that this blog hit 5,000 pageviews yesterday. Cool! To wit: Remember the last post? About the Story of England by Michael Wood? Well, I came across a link to an article Michael Wood wrote, about Britain's first black community, dating from Elizabeth England. I love the excerpts from the parish register. A real taste of average people's lives back then. And the stories he writes about Mary Fillis and Lucy remind me of the stories detailed in the doctoral dissertation I have combed through for research. Real minority people, in the past, and their stories, living among a majority population. I'll be posting later today about the last of Hollow Crown series, Henry V.
My dad will readily admit to not having an imagination. By this, he means that he doesn't read novels. He likes movies, but prefers documentaries. He doesn't follow serialized television, but the DVR is rather full of documentaries and reality TV. One of these recent documentary series on our DVR takes care of both of us. It's history and being a pair of history buffs, we happily watched Michael Wood's Story of England, which is available to watch on PBS.org. Historian Michael Wood tells the history of England--from pre-Roman to the Anglo-Saxons to the Danelaw through to the Norman Conquest and beyond--through the evidence collected from archeological digs, DNA tests, contemporary accounts and very well-maintained records of one English village: Kibworth, Leicestershire. 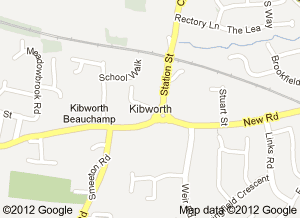 Now, actually, Kibworth is three villages, I believe: Kibworth Harcourt, Kibworth Beauchamp (prounounced Bee-cham), and Smeeton Westerby. After reading the play summary for Henry IV, Part 2, I wasn't sure why there was even a part two. 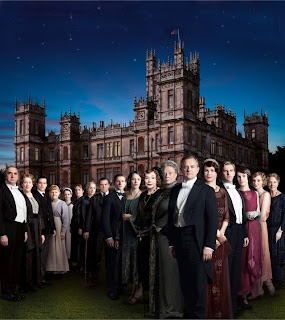 I kind of figured that the major events happen in Part One and maybe Part Two was fan service on Shakespeare's part. After watching it, however, I can see that it completes all the character arcs set up in Part One. Part Two is the ultimate pay off. 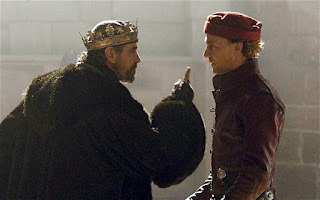 It sets up Henry V and resolves the longer arcs of the father-son relationship between the king and Hal and Hal's ultimate repudiation of his old hell-raising life. In the 19th century, a great deal of social discourse was done by letter writing and by paying calls. But what is a call, exactly? In the days before Alexander Graham Bell, a call was a visit. Back in the day, a well-to-do lady would pay morning calls to her friends and acquaintances. First of all, in the Regency, a morning call was more likely to take place in the early afternoon. Say that this lady has just come to London for the Season. She gets into her carriage and calling cards in card case, takes off for her acquaintances' homes. She has a servant drop her calling card off at the homes. 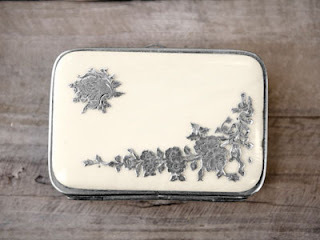 The card is dropped onto a silver tray in the front hall by the other person's servants and later given to the mistress of the house for perusal.